Super Mario Odyssey Leaks Reveal New Kingdom and Bosses! Yesterday, screenshots and videos of Super Mario Odyssey started leaking online. Caused in part thanks to stores breaking street dates and LPers posting about the game early, it’s now gotten to the point where even things like story twists and the final boss are available online. And hence we’ve decided to cover the new information here on Gaming Reinvented. 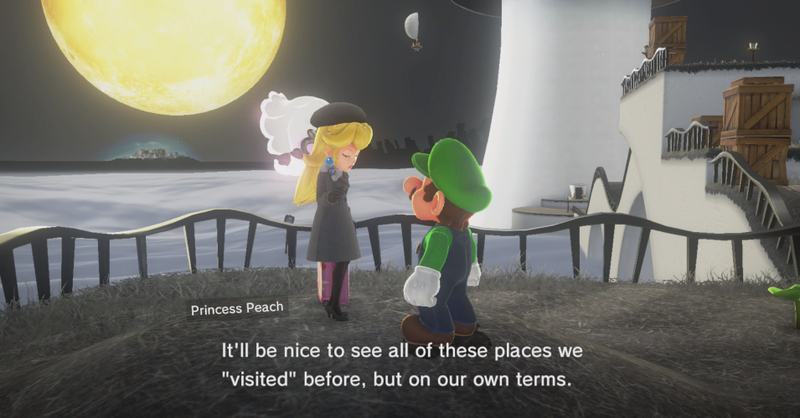 So, if you’re interested in Super Mario Odyssey’s endgame (and don’t mind a few spoilers along the way), keep reading! As you can see… he’s not your usual Mario style dragon. Instead, his art design looks a lot like that of a character in a realistic fantasy game. Like say, The Elder Scrolls or Dark Souls. 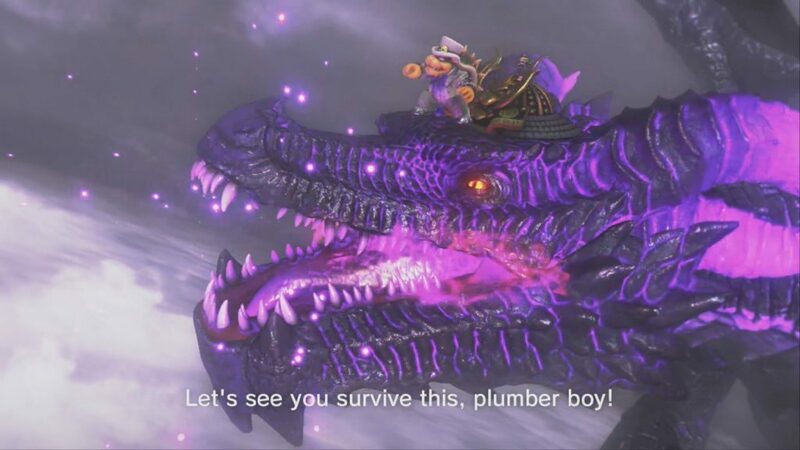 This makes him a hell of a lot more menacing that Gobblegut or any of the dragon bosses in other Mario titles up to this point. And the same is true of the kingdom too. True to its named, the Ruined Kingdom is… a complete and utter wreck. Seriously, the brochure even explicitly says it was torn apart by a war hundreds of years ago. 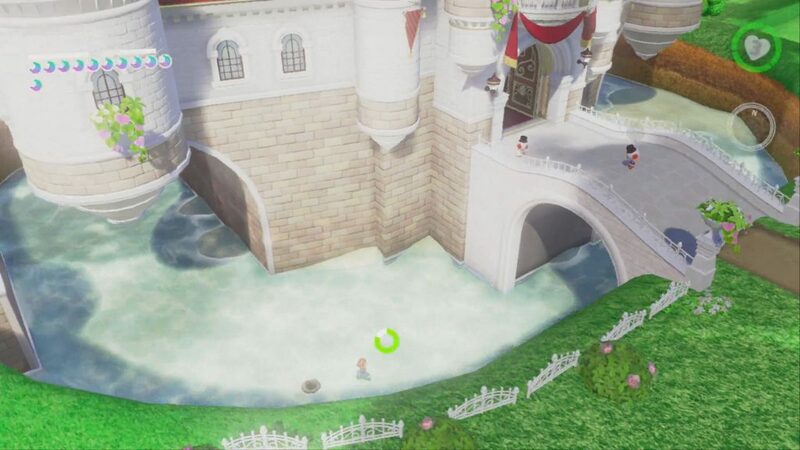 Because of this, the kingdom may well be the darkest, most grim location in the entire Mario universe. 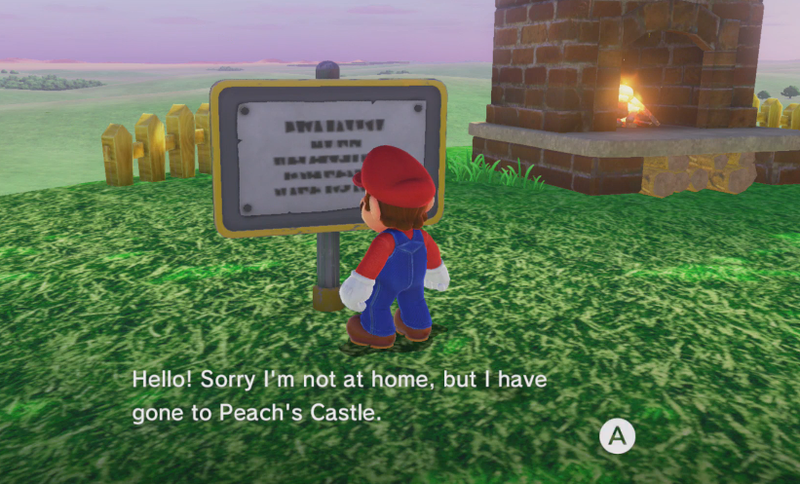 Who’d have ever expected our favourite plumber to explore a realistic looking fortress destroyed after a bloody battle that took place centuries ago? We certainly wouldn’t, and the fact Nintendo actually went there is impressive enough as is. However, forget the kingdom for a minute. We’re sure what you’re really interested in is how the boss battle works. 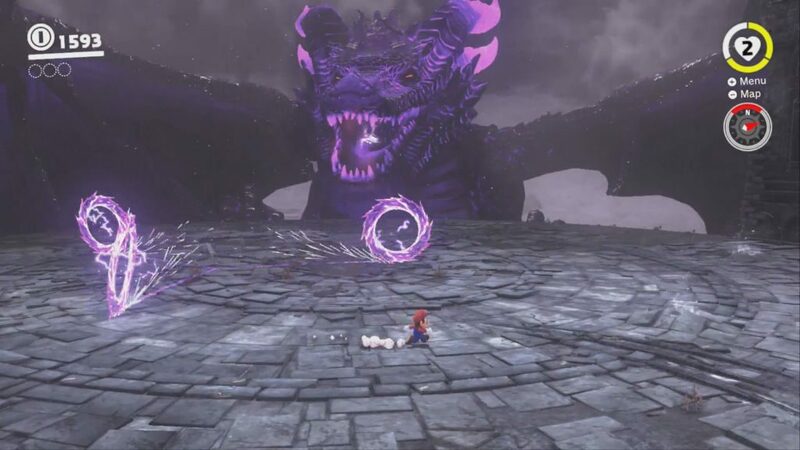 How does Mario take down a dragon the size of a building without any weapons? 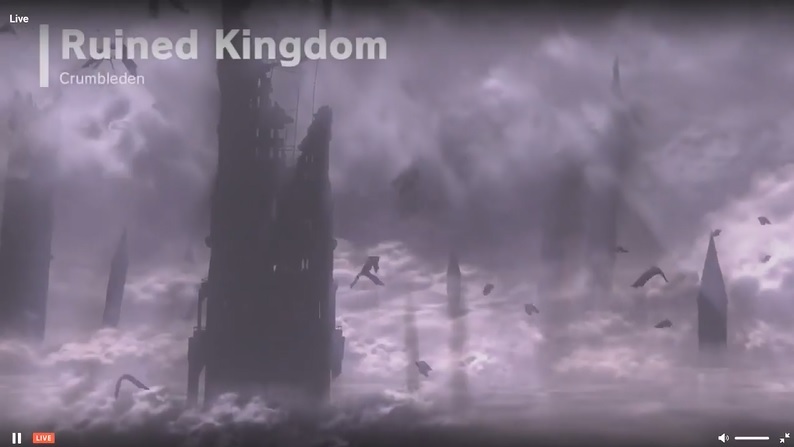 So yeah, that’s one extra kingdom only revealed by the leaks. But it’s not the last one. Not by a long shot. Why? Cause guess what kingdom is explored after the Ruined Kingdom? Bowser’s Kingdom. 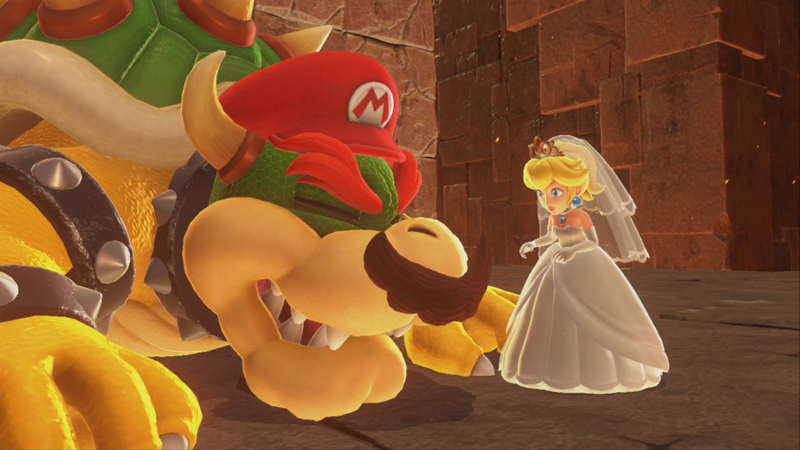 Yep, Bowser’s Castle is a whole kingdom this time around. And what’s more, it’s completely unlike every other version of the Castle in the series too. Why? Well, think back a minute. What design motifs have these castles used? Generally, ones from medieval European castles, that’s what. Giant drawbridges, towers, lava pits, all that stuff you may find in a fictional depiction of a European knight’s castle. It’s been a constant theme ever since Super Mario Bros on the NES, and one that’s even been omnipresent in the spinoffs like Wario Land and Donkey Kong Country. However, Super Mario Odyssey drops it entirely. 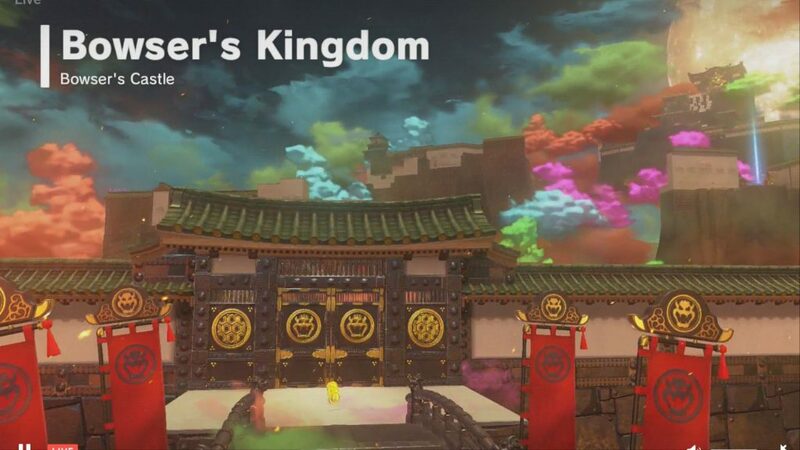 Now, Bowser’s Castle… is a feudal Japan style version sort of themed after Hands on Hall in Super Mario 3D World. It’s an absolutely gorgeous place to look at, and offers a hell of a lot more exploration potential than any other Bowser level in the series’ history. That’s because unlike previous Bowser levels, this castle is actually a full castle you can explore. Yeah there’s certainly a linear path running through it, and you’re quite strong guided to the battle with the Broodals none the less. But it’s still at least somewhat of an open world experience, complete with lots of hidden moons to find, coins to collect and even its own Crazy Cap shop. So it’s better than previous Bowser levels, if only because it offers more choice and fits the exploratory feel of its game more than they did. Oh no. They’re now fought in a giant mech, with various attacks for you to dodge, four phases to the battle and god knows what else. It’s not the hardest fight in the world, but it is an interesting concept for one, with Capturing used really well and the battle gradually increasing in complexity as you get nearer the end. 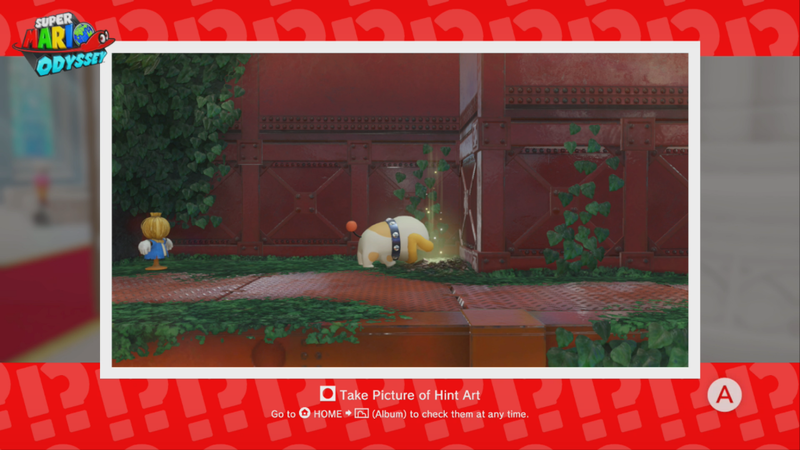 Still, where do you think Bowser got to? If he’s not fought here, where is Mario going to fight him? Well, you may not believe this. But the answer is: On the Moon. 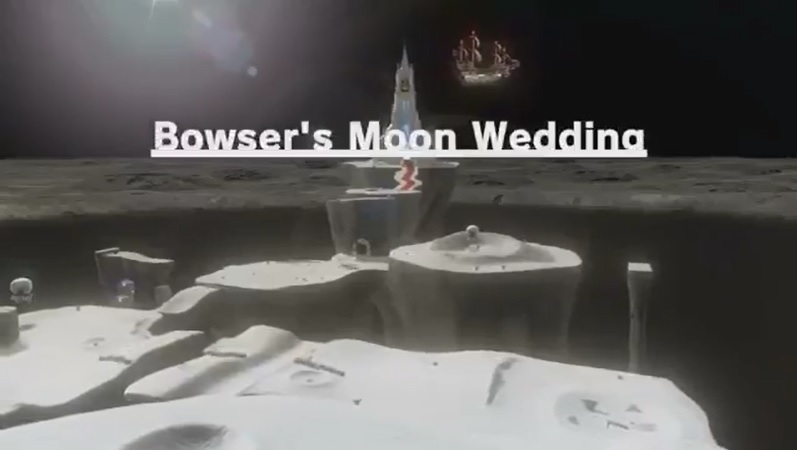 Yup, the final (main story) world of Super Mario Odyssey takes place on the Moon. But that doesn’t matter to Mario. 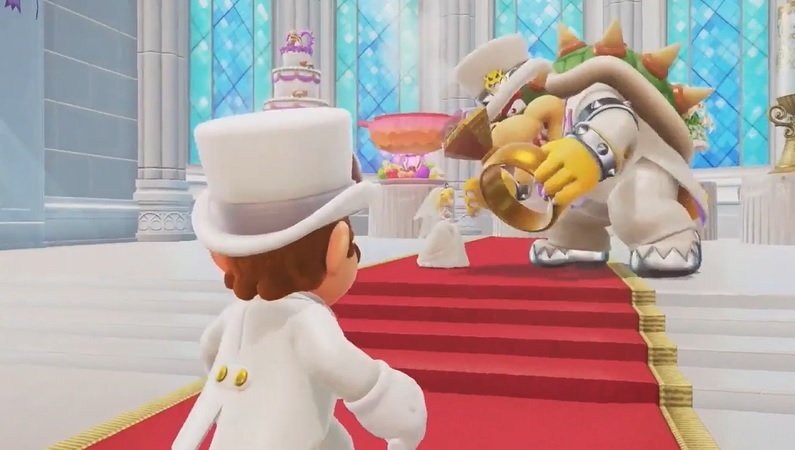 No, he’s gonna crash Peach and Bowser’s wedding whether they like it or not. And this is what’s lead into the final battle. What’s more, it’s a damned noticeable improvement over previous Mario series final battles too. Why? Because it’s not a chase scene. You’re not escaping Bowser in order to hit a switch at the end. You’re actually going toe to toe with him in an epic final boss battle to save Peach and call off the forced marriage. Complete with a rather interesting means of fighting him. Namely… using his hat as a mini mech. No, we’re not making that up. Mario literally jumps into Bowser’s hat after the latter tosses it to the floor, then uses it to beat the crap out of Bowser in a pseudo boxing match. 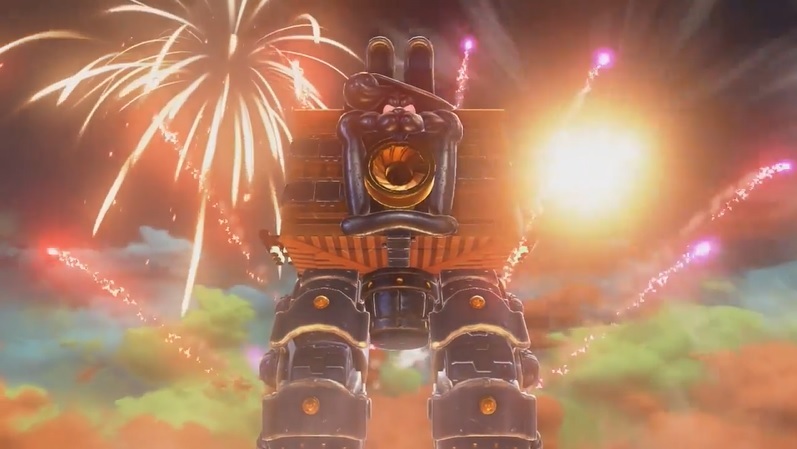 Talk about a novel way of having Mario win a boss battle! So after a ton of hits and tricky attacks dodged, the battle is won. However, things don’t end there. Oh no. Remember how we said this game doesn’t have an escape sequence for the final boss battle? Well, we were half lying. It doesn’t use one instead of a final boss fight, and you’re not chased by Bowser during it. But there is an escape sequence none the less. That’s because after the heavy fighting in the previous battle, the church like place you’re in starts to collapse around you. And that’s where Nintendo really changed up the formula. You Capture and play as Bowser. Yes really. 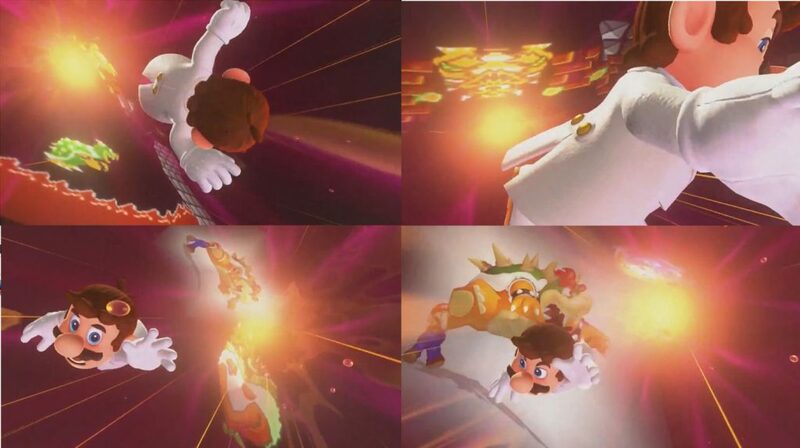 Mario hijacks Bowser’s body, picks up Princess Peach and punches the hell out of everything in his way to save everyone. It’s a really cool sequence, especially given how it blends 2D and 3D sections almost seamlessly. Or how a near 1 Up Girl level masterpiece song is playing in the background throughout. 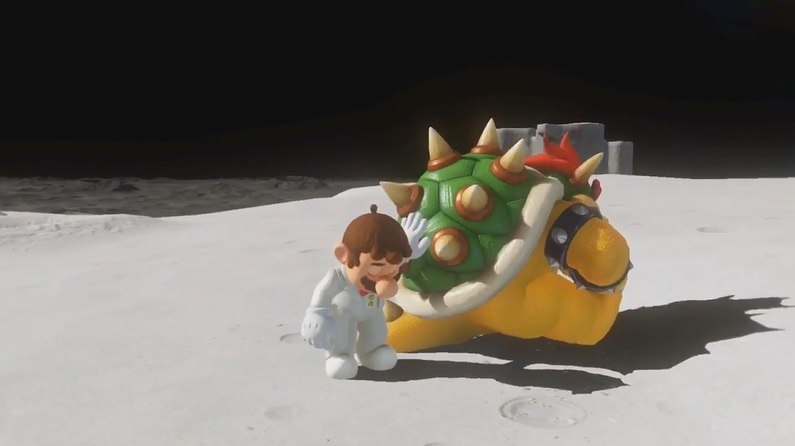 Or even how the game references every previous Bowser battle in the sequence before you play as him. That’s some dedication, and beats out the similar scene with FLUDD in Super Mario Sunshine really handily. Nor is the postgame here. Cause Super Mario Odyssey does not end after the final boss battle. Instead, it continues onto a rather neat kingdom. Yes, it’s the Mushroom Kingdom. This time, as a full-blown world you explore in game. As well as even appearances from Yoshi himself! It’s like the developers went out of their way to reference the title in every way possible, and it’s fantastic to see. 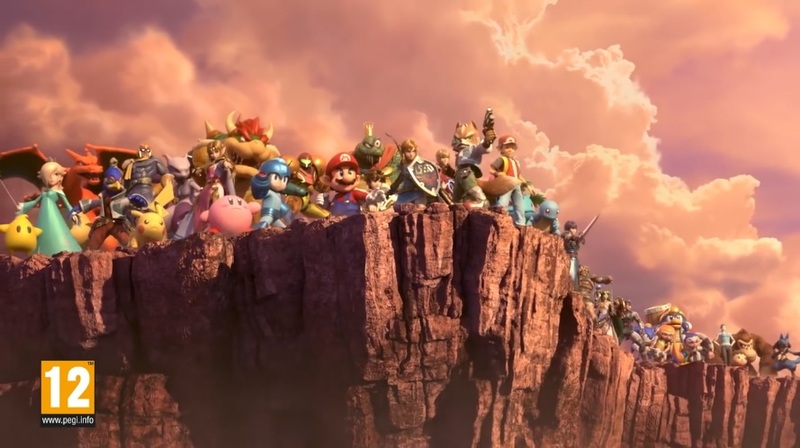 Yet one character isn’t present there. Namely, Princess Peach. Where do you think she’s gotten to? And other unknown ones in the other kingdoms. Yet she’s not the only one with new costumes in the postgame. Mario gets some of his own too. As well as have him wear costumes based on Wario, Waluigi and other major characters’ outfits too. It’s not as good as playing as the actual characters, but it’s a neat detail none the less. 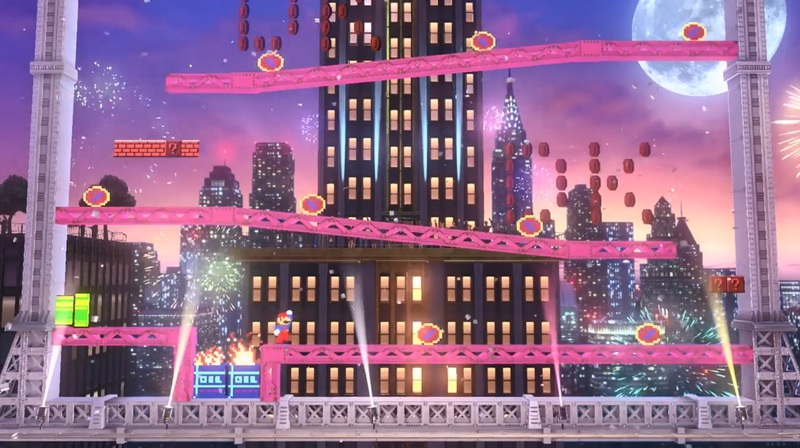 However, don’t think Super Mario Odyssey only references Mario 64 or spinoffs. 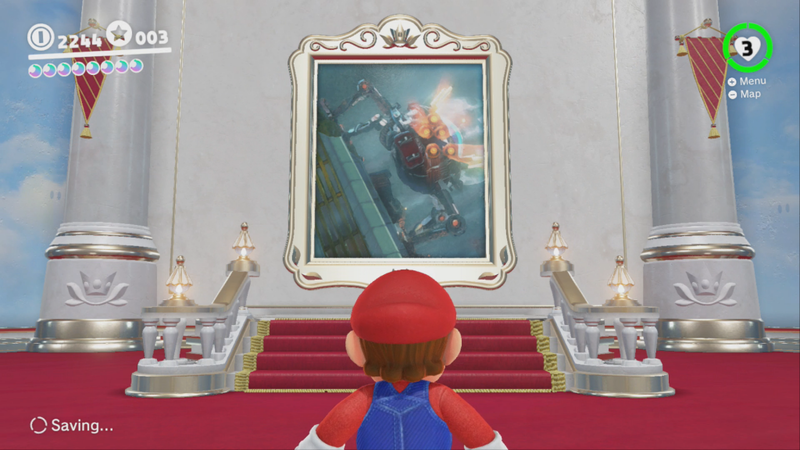 Nope, even without Isle Delfino being fully confirmed yet, there are some neat references to other games. For instance, does anyone remember Yoshi’s House from Super Mario World? 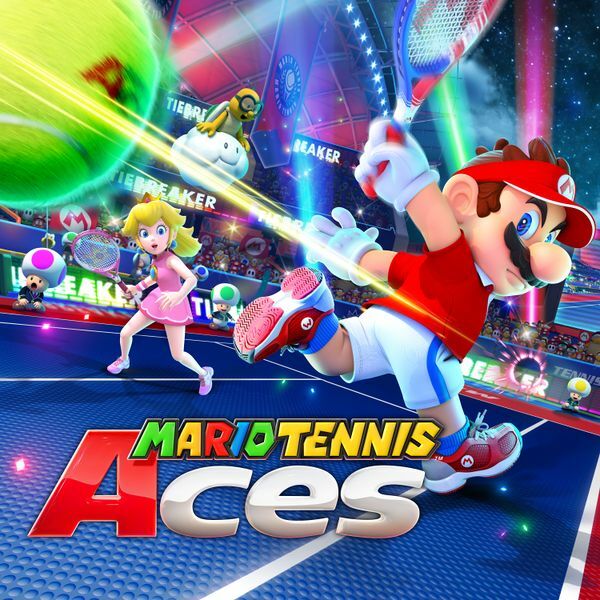 It’s literally a Mario fan’s dream game. A dream game absolutely dripping with callbacks and continuity nods towards every game in the series. It’s pretty damn impressive. 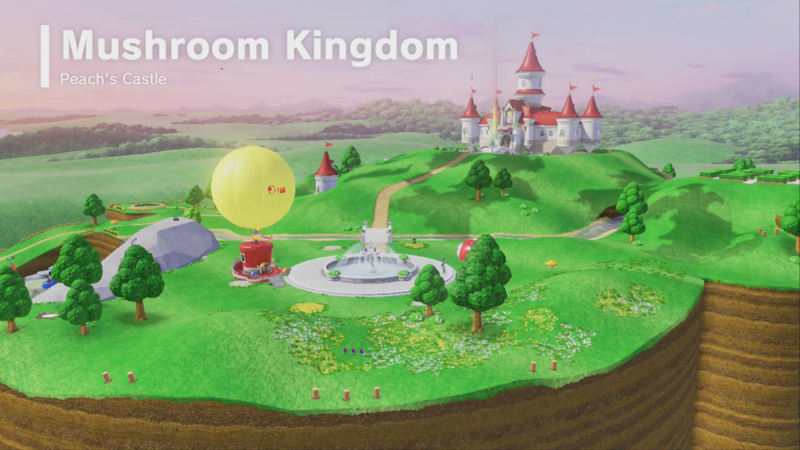 We haven’t even seen Isle Delfino, and we’re already on 617 confirmed moons! Of course, the Mushroom Kingdom’s 104 aren’t all full-sized ones. Indeed, many are just unlocked through achievements. Basically, you complete an achievement in game, then return to Toadette in the Mushroom Kingdom for a moon (or Power Star to be precise). But while it’s not a Breath of the Wild size mega world to explore, it’s pretty damn big none the less. Hence Super Mario Odyssey certainly has enough to keep the fans happy! So yeah, that sums up everything we know so far. But what do you think of it all? Do the new kingdoms and bosses impress you? Will Super Mario Odyssey be a game that’ll keep you playing for months? Or are there elements you’re disappointed in? Post your thoughts in a comment here or on the Gaming Latest forums today! Super Mario Odyssey: The New Nintendo Direct Trailer!